Hier kunt u de laatste onwikkelingen volgen van het in aanbouw zijnde project. Het materiaal is gesorteerd met de laatste aanvullingen bovenaan. This week we are having the California Team over from the USA. 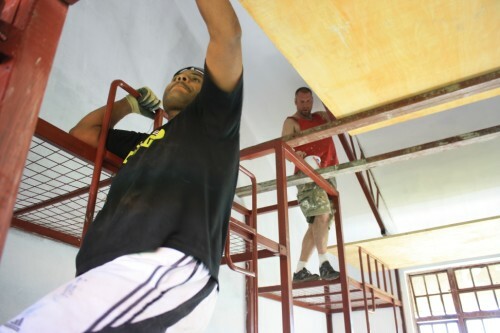 They are painting some dormitory rooms and set a new quality standard for us! 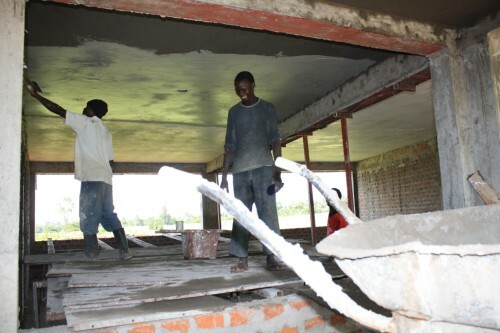 Meanwhile we are also working on the plastering of the school-block as you can see above and also the work on the security office is ongoing. All together a LOT of work that is going on! We thank God who is sustaing all this and of cause also YOU who is making the donations that make us able to continue the work. 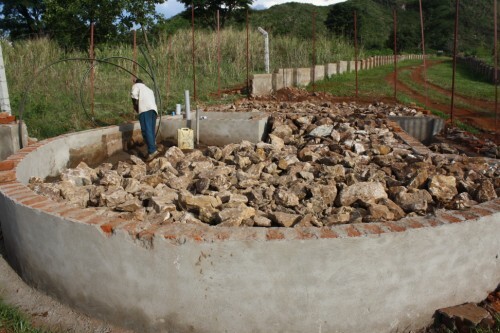 This week the work goes on at the Staff Quarters. We are building the last of 3 blocks of simple, small rooms. Each holds just one bed and a chair, just enough for one person to sleep. 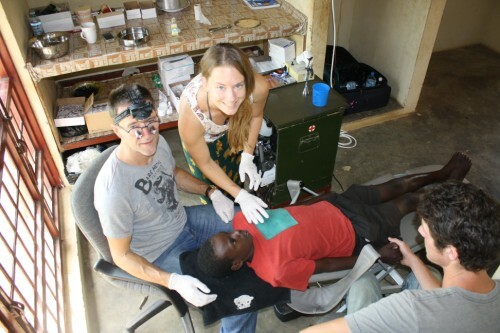 And at this time we have Piet & Rianne Zeldenrust at work on the teeth of the children and staff. Piet is practicing dentist in Hoofddorp, The Netherlands. His daughter Rianne is a dental student. Besides that Piet is the husband to our chaiman in Holland, he comes at least once a year to help the children of Kimbilio Children’s Village with some simple equipment he brought over from Holland. Bit by bit a LOT of work has just continued eventhough we have not reported much from week to week. 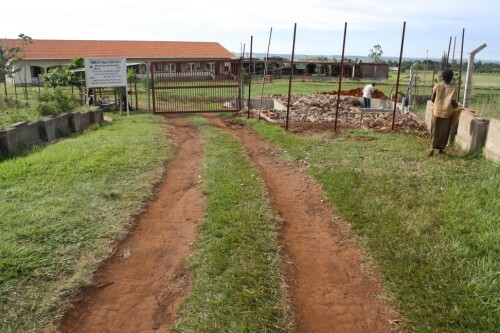 The road you see here left is an intertnal road that will lead from the dormitories via Jacobs House to the staff quarters back to the behind gate, jointing the internal road again. This is making the staff quarters accessable to the lorry and other vehickles as we are now seriousely beginning to work on staff housing there. 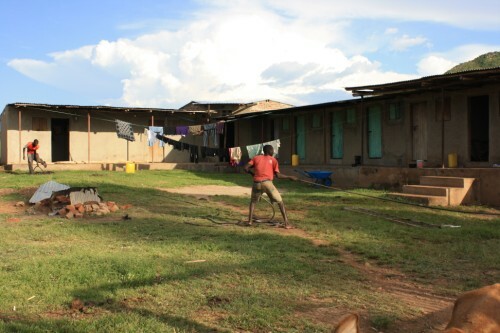 As you can see below, we have added some more rooms at what we used to call “Aggrey’s place” . And we are adding some 4 more rooms to it Will Gayle, Magnus Bieneck, Christiane Carrle with lots of friends!as we need them badly with the growing of the team. They are (from left to right) Will Gayle (from the USA), Magnus Bieneck (Germany), Christiane Carrle (also from Germany). Will is here till the end of the year and both untill April 2013. 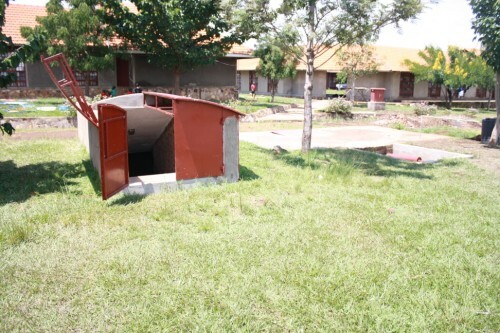 I am sure they will find lots of useful things to do around the children’s village. 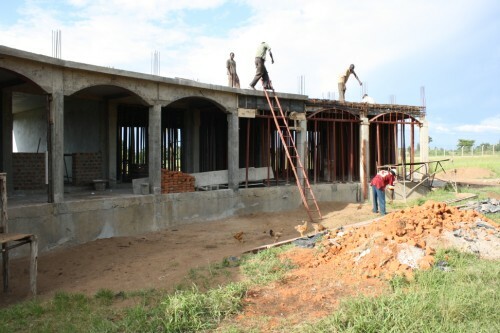 And finally the work on our phase two of the primary school is moving ahead steadily. The men are now preparing the hollow bricks (maxpans) that form the ceilling and support layer for the next floor. I expect they will still be busy for a week before the concrete will be casted on top. Notice how well you can see the fencing! 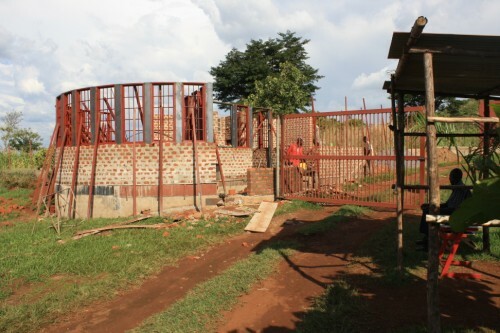 The 2nd part of our school-building is taking shape and Grace checks out where her office will be. Rien de Braal, a long time trusted friend and brother of the Kimbilio Family, has died this day. You can find many pictures of Rien on this site as he has been our friend even before Kimilio land was bought. We know him as a person with a Heart For Children. He will be greatly missed by his Kimbilio Family! Rien has left behind his two sisters in Holland. 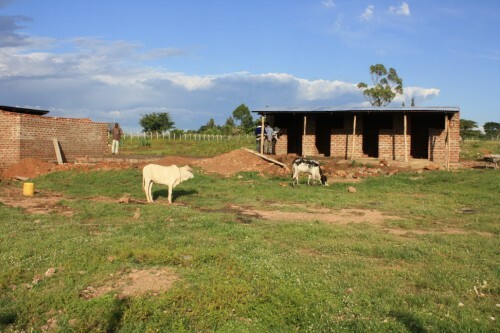 But the work on our school building has also progressed nicely. The workers are now setting and casting about 4 columns per day. 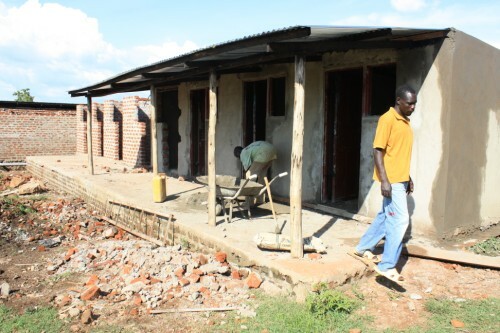 In the meantim, the metal-fabricators are preparing the windows to be fitted in the school. At the end of the day the complete floor was ready. In the meantime another crew has been working on the completion of the fence. 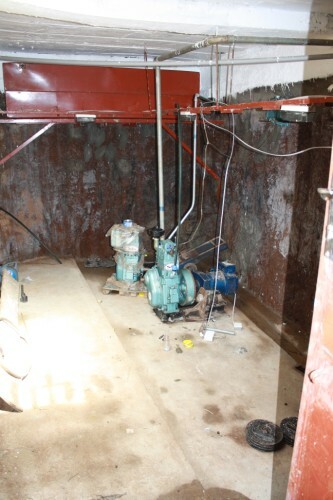 Give it another 2 weeks and the compound will be completely secured. 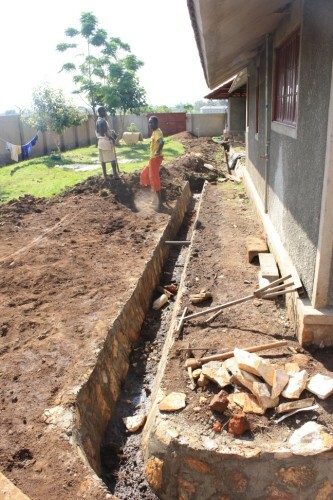 �Country Director Cor Koelewijn discusses the plans with Foreman Fredrick Kiisa. Project Director discusses with Forman Kiisa Fredrick. 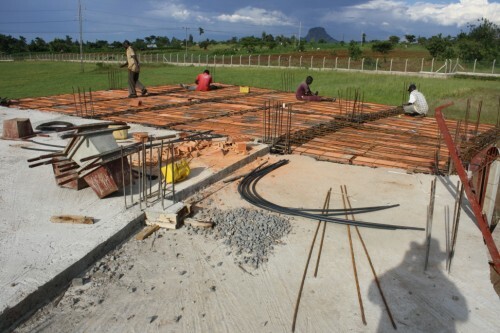 �Foreman Fredrick Kissa has taken the 1st week to tie al the metal bars into the required mash and at the end of this week he sets thefeet of the columns ready forMonday when we shall be casting the concrete.